New Operational Tasks as part of the Underground Storage Tank (UST) regulations published by USEPA are effective as of October 13, 2018. Many states have adopted the 10/13/2018 effective date. Pennsylvania published their new UST regulations on December 22, 2018 and changes will be effective by December 22, 2019. The regulations require owners and operators to perform a monthly walkthrough inspection of spill prevention equipment (tank fill spill bucket, fill pipe and fill cap) and have an annual test of electronic and mechanical release detection equipment. All containment sumps must be visibly inspected and the “hand held release detection equipment” (tank gauging stick) must be inspected annually. Specific UST components (spill prevention equipment, overfill devices, and containment sumps used for interstitial monitoring) must now be tested every three years. The initial testing must be performed by the next required Facility Operational Inspection (FOI) deadline within the period December 21, 2019 and December 21, 2021. Each location’s next FOI deadline is noted on the tank registration. The tank fill spill bucket and containment sump testing must be performed by a PADEP-certified individual and the test is generally a hydrotest, using water. If the tank fill spill bucket fails testing, no additional deliveries to the UST are permitted until a repair or replacement occurs. The testing water becomes a regulated waste, and may be a hazardous waste. There can be several strategies to minimize the waste and not create a hazardous waste. Many testing companies are drumming the test water for the owner or operator to manage. USTs as part of an emergency power generator system were previously deferred from enforcement for release detection, but the revised regulations require these systems to have tank and piping release detection equipment. The revised regulations are problematic for these UST systems since there is generally both a suction and pressurized product line from the generator. For many locations, the piping leak detection may require a new installation of double wall piping. This would require an environmental assessment when the existing piping is removed. Many of the emergency power generator UST systems also have a fuel polishing unit, with piping that extracts and returns the fuel from the UST on a scheduled timeframe and duration. The fuel polishing piping would also require leak detection. States with an approved UST program were required to update their own regulations by October 13, 2021 but many have adopted the 10/13/2018 effective date. 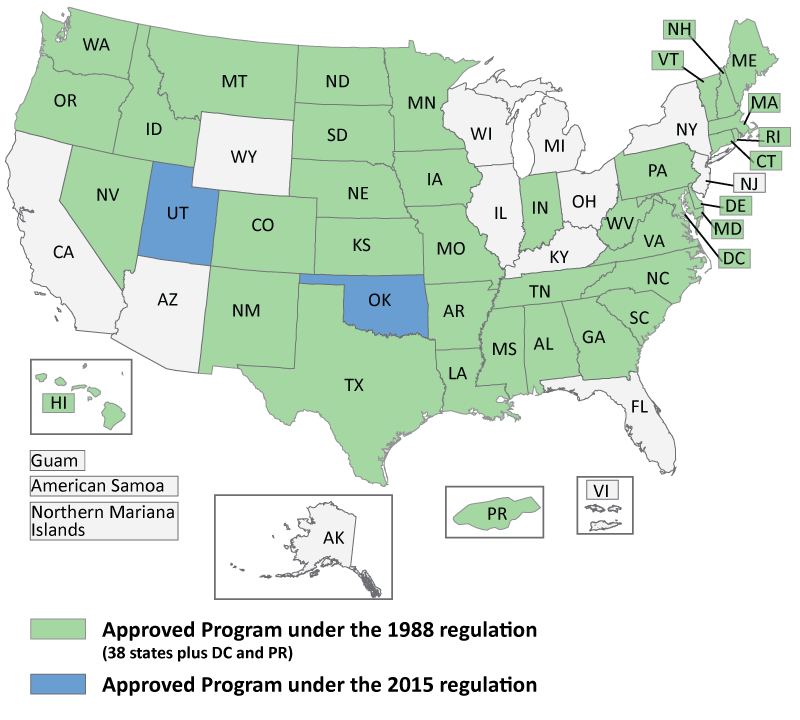 States that do not have state program approval (i.e. New York) had the regulations effective 10/13/2018 only under federal enforcement.